But if the allocation to various sectors is the main indicator, the budget waffles. The allocations to agriculture, water and rural development, upa priority areas, increase marginally from last year and, in some cases, record a drop from the nda's interim budget (see graph: The more it changes...). The increase in plan expenditure is Rs 10,000 crore more than the interim budget. Sectoral allocations irrigation: The big plan is to repair, renovate and restore 5,00,000 of the one million waterbodies that provide irrigation but are crumbling. The fm announced this would begin with a pilot project worth Rs 100 crore -- not an additional allocation; to be drawn from existing programmes to develop wastelands and grasslands, rural development, and drought proofing and water supply -- in at least one district in each of the country's five regions. After completion, a National Water Resources Development Project would be launched, to be implemented over a decade. Money for this is expected through loans from the Life Insurance Corporation's investments of Rs 3,000 crore in water-related programmes and from multi-lateral funding agencies. A nationwide water harvesting scheme has been announced for Scheduled Castes and Scheduled Tribes farmers, covering 1,00,000 irrigation units at an average cost of Rs 20,000 each. The National Bank for Agriculture and Rural Development will loan money for this on easy terms. The government will provide 50 per cent capital subsidy through the bank, costing the exchequer an estimated Rs 100 crore. The allocation to the Accelerated Irrigation Benefits Programme (aibp) is the same as last year: Rs 2,800 crore. aibp aims to push ongoing irrigation/multi-purpose projects. Despite a disbursement of Rs 14,670 crore by the Centre since 1996-1997 for various irrigation projects, only 28 of the 181 major or medium projects were complete by March 2003.
drinking water: All drinking water schemes will be brought under the Rajiv Gandhi Drinking Water Mission to provide service to the 75,000 habitations not covered as yet. But this is not backed with resources. The allocation for the Accelerated Rural Water Supply Progamme has increased only marginally: from Rs 2,565 crore last year to Rs 2,610 crore. Now, the silver lining: the fm announced that the focus would now be on renewal of water sources. The Economic Survey 2003-2004 expressed concern at speedily depleting groundwater. He also declared the funds under this programme would be transferred directly to Panchayati Raj institutions. This is an extremely political issue and the state governments are opposed to it (see also: "Devolution meet a damp squib"). agriculture: Allocation here has increased 20 per cent, from Rs 3,865 crore in 2003-2004 to Rs 4,642 crore. This, however, is Rs 85 crore less than the Rs 4,727 crore allocated in the interim budget. The allocation of Rs 132 crore for food, storage and warehousing is a decline from last year's Rs 169 crore (revised to Rs 180 crore). Allocation for agricultural research and education has increased to Rs 942 crore from last year's Rs 775 crore, but is less than the Rs 1,042 crore in the interim budget. The fm said agricultural research must expand to new frontiers such as biotechnology, vaccines and diagnostics, and special focus must be on farming in and unirrigated areas. In view of India's self-sufficiency in wheat/paddy and deficiency in other agricultural produce, the minister said it was now time to encourage farmers to diversify into horticulture, floriculture and oilseeds. He proposed a National Horticulture Mission that would aim to double horticulture production by 2011-2012. Chidambaram asserted the upa government will double loans for agriculture in three years and accelerate irrigation projects. He announced a slew of measures to improve agricultural product markets and promote agri-business (see box: For the farm sector). rural development: Allocation here is up from Rs 6,470 crore last year to Rs 6,991 crore this year. The revised estimate for last year was Rs 11,528 crore; it included the settlement of account with the Food Corporation of India for the foodgrain drawn for Food for Work programmes. The fm has announced a new Food for Work programme in 150 districts classified as most backward and identified as immediately needing such a programme. This would stay till the upa comes up with a National Employment Guarantee Act to assure 100 days of employment to the breadwinner in each family at minimum wage. health and education: Cess apart, the allocation for general education has increased only by Rs 1,150 crore; that for technical education by just Rs 50 crore. It is unclear how the remaining Rs 2,800-3,800 crore would be spent. To ensure that technical eduction at technology institutes (bar iits) meet international demands, Chidambaram announced a programme to upgrade 100 such institutes each year for the next five years. The education loan limit, for which no collateral is required, was raised from Rs 4 lakh to Rs 7.5 lakh for professional courses in India or abroad. Rs 259 crore has been allocated to prevent and control hiv/aids. The upa acknowledges that the existing Universal Health Insurance Scheme is skewed against the poor. Only 11,400 families below the poverty line (bpl) are covered at present as they cannot pay the premium. The budget has made the scheme bpl-exclusive, requiring a person to pay a premium of Rs 165, a family of five to pay Rs 248, and that of seven to pay Rs 330, without any reduction in benefits. The government will offset the cut in premium through a subsidy that will cost it Rs 40 crore and cover one million policy holders. The major increase in revenue is assumed to come from corporate taxes. The stock market reacted adversely to a tax of 0.15 per cent on transactions on the stock exchanges. So, while the fm may not have given any real bounties to farmers and the poor, he has taxed the rich, hoping to raise Rs 88,439 crore in the current year, largely from the cess and collection of arrears -- a confident and arrogant gamble. Where will the increased revenues go, apart from defence and the Planning Commission? 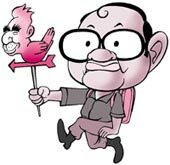 Chidambaram has reduced the revenue deficit to 2.5 per cent of the gdp and the fiscal deficit to 4.4 per cent of the gdp. So what does all this mean for the implementation of government programmes, especially on issues like agriculture, that figure prominently on the ncmp? For example, will distressed famrers get increased loans from credit institutions? That will depend on the government's ability to persuade the banks to prioritise the farm sector. Chidambaram has been constrained to state in the media that his budget effectively covers only six months in this fiscal year. So to judge whether the upa government puts its money where its mouth is (that is, the ncmp), we'll need to wait till March 2005.